Canonical, the company spearheading development for Ubuntu, has again used the industry’s largest trade show to demonstrate its progress in the Linux-based platform. With new partners onboard, the company’s Convergence vision was also demonstrated. 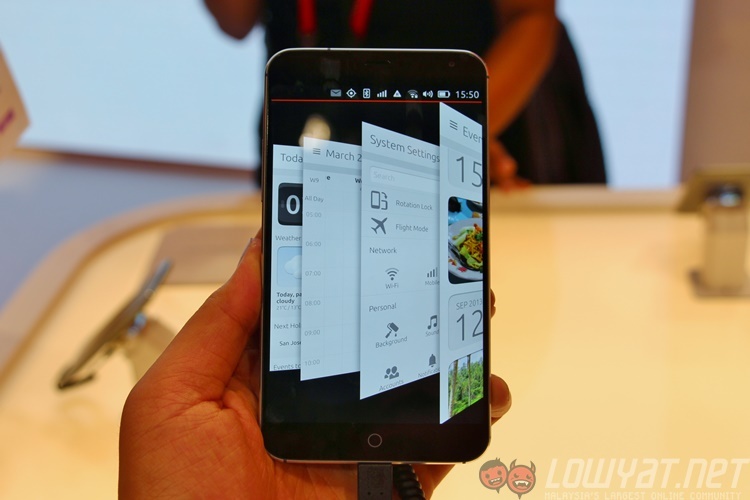 At this point in time, Ubuntu for smartphones is still considered a work in progress – though smartphones running on Ubuntu recently went on sale in Europe. 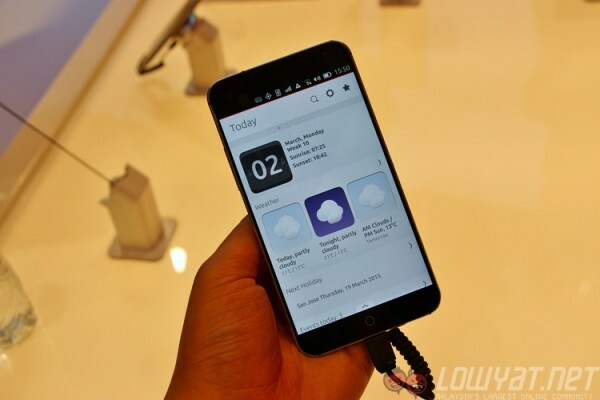 Last year, Canonical announced Spanish smartphone maker BQ and Chinese company Meizu as hardware partners in developing Ubuntu phones. 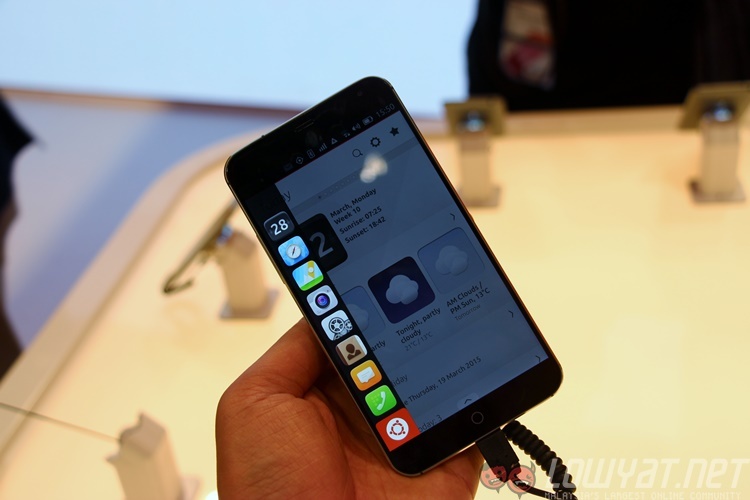 While BQ had its retail unit on display, Meizu showed off a modified MX4 smartphone running on Ubuntu. Last year, Ubuntu for phone was pretty unusable, with noticeable bugs and jittery animations resulting in a less-than-impressive first impression. 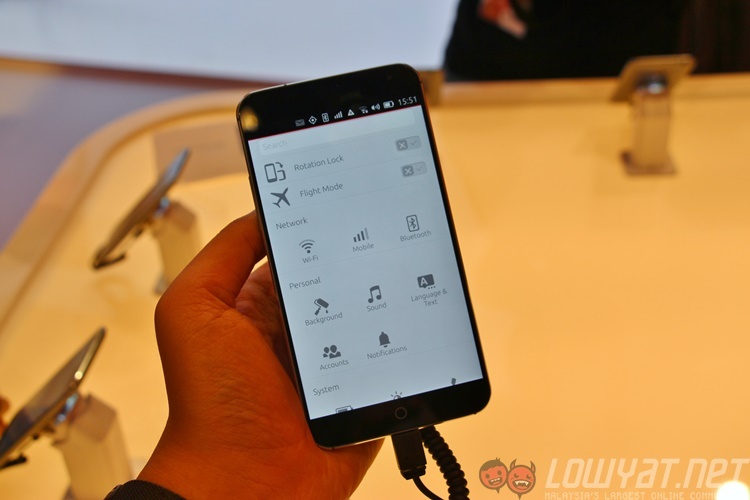 With the much more powerful MX4 onboard (and plenty of software development), Ubuntu for smartphones is a lot more interesting this year. In terms of the UI, virtually nothing has changed; Ubuntu for phone is heavily gesture-based, utilizing edge-swipes on all four sides of the screen. 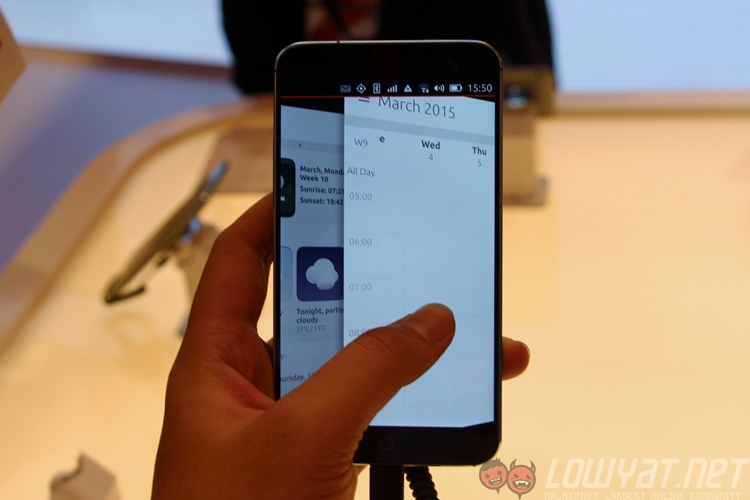 The multitasking screen, for example, requires a long edge-swipe from the right, while an edge-swipe from the left takes you back to the home screen. 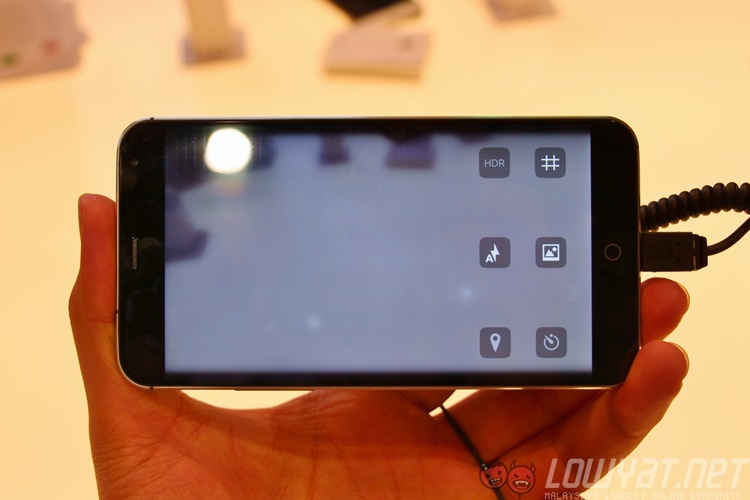 However, the multitasking capability also features “short” edge-swipes: quick, short edge-swiping from the right will switch between the two last-used apps, which can be very useful. Interestingly, while the UI of Ubuntu is vastly different from any other mobile platform in the market, and with all kinds of gestures that you can activate, I soon got the hang of navigating around the interface. That being said, things can be very different for the general consumer – those gestures can require a steep learning curve. In addition, despite the high-end hardware, there are still moments when the system shows noticeable drops in animation frame rates and some very obvious “thinking pauses”. Canonical says that the current software build is still not optimized on the MX4, which is causing these issues. 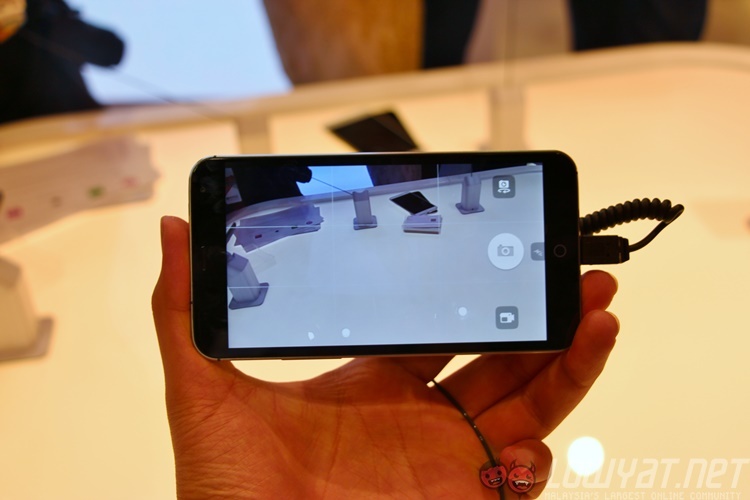 The other Ubuntu smartphone that’s readily available, the bq Aquaris 4.5 Ubuntu Edition, is a lot more optimised, with exceptionally smooth animations despite the lower-end hardware. On the other hand, the concept of Convergence is another area Canonical had been working on with Ubuntu. The company believes that the smartphone will eventually be the only device you’ll need, and plugging in an external display and a mouse and keyboard will instantly unlock the platform into a full desktop client. It even launched a hugely ambitious Indiegogo campaign to develop the Ubuntu Edge – though it ultimately failed to get the required funds to start the program. 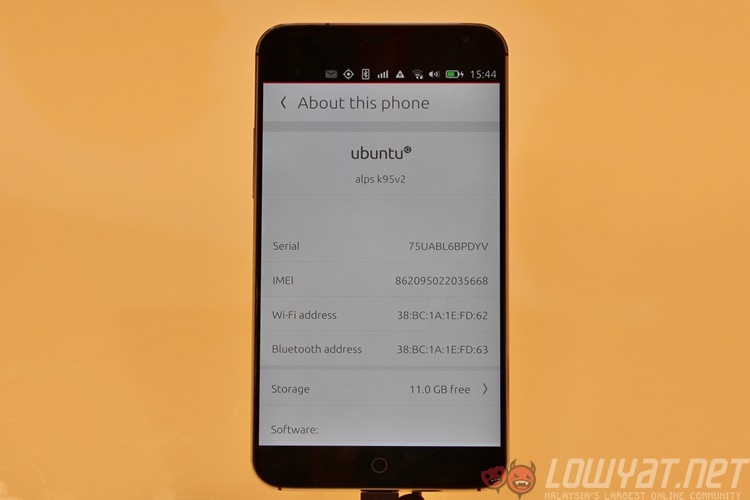 Even the expected 2014 deadline of Ubuntu for phones to be released was delayed until recently. Nevertheless, the company has pursued development on this end, demonstrating the concept first on a 2013 Google Nexus 7 and, when it proved too buggy to handle, an Acer hybrid laptop that was originally developed to run Windows. With a desktop-class CPU, Convergence’s final product looks exceptionally polished. Apps switched from tablet mode into desktop mode almost instantly after a USB keyboard was plugged in, and snapped back into tablet mode when the keyboard was removed. We’re still some time away before anything like this becoming the norm, but as mobile chipsets slowly become ever more powerful and come closer to desktop-class processing power, the future may be closer than we think.